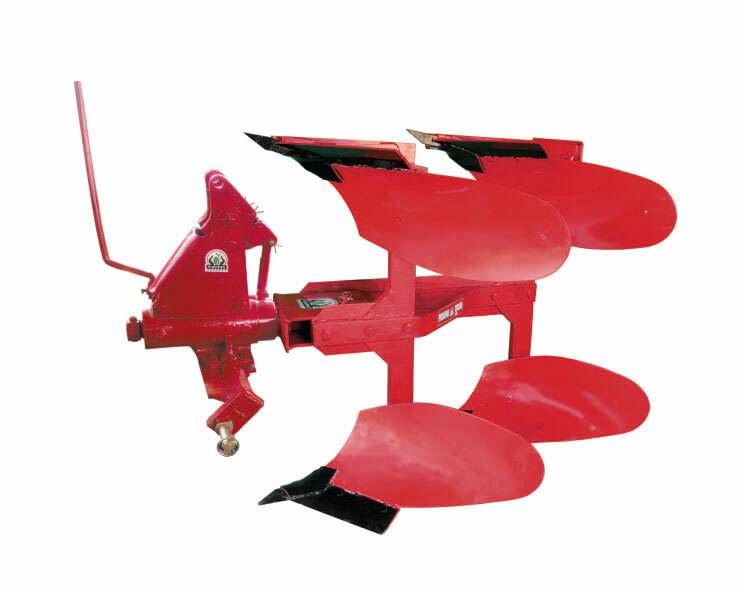 The turnover of the reversible plough is done by a Hydraulic cylinder; which reduces the fatigue to tractor driver considerably. Due to smooth turnover, no impact vibrations are experienced. Hence long life to plough & tractors is achieved. 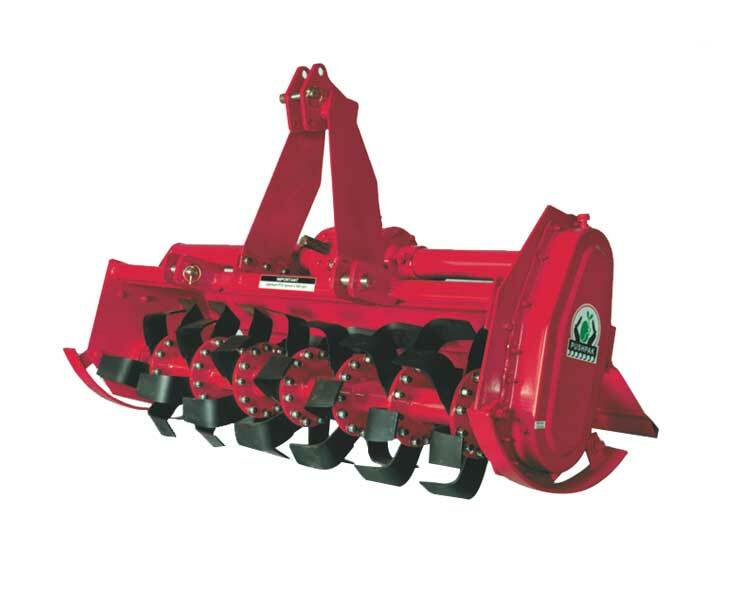 The Pushpak Hydraulic reversible Plough is used to turn over the upper layer of the soil, bringing fresh nutrients to the surface, while burying weeds, the remains of previous crops, and both crop and weed seeds, allowing them to break down. 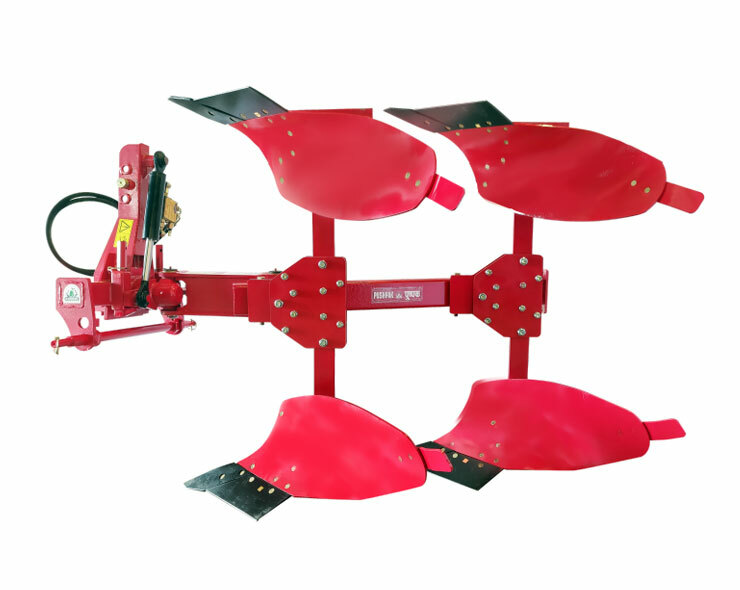 Pushpak Hydraulic reversible Ploughs are available in two / three & four; furrow working configurations, suitable for tractors with various horse powers from 45Hp to 90Hp. 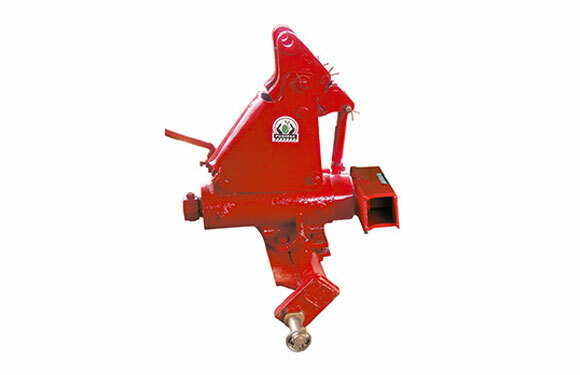 The working points are available in Shear type & bar point. 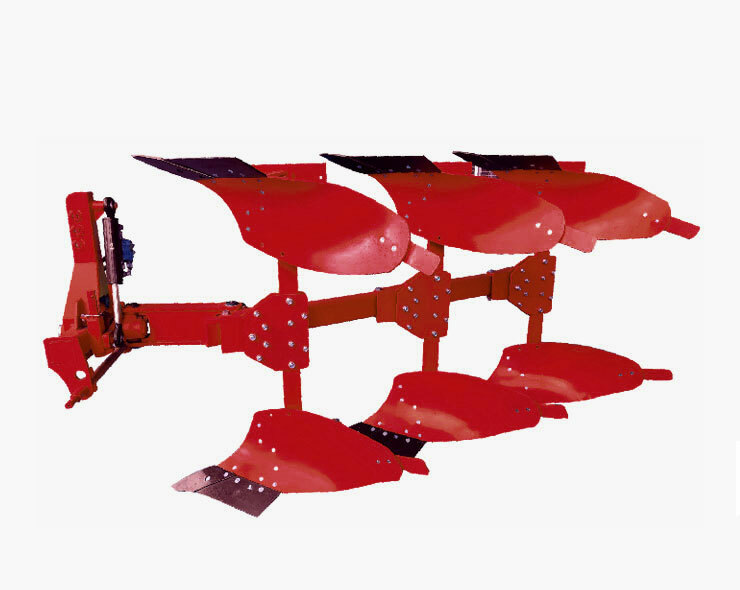 The construction of the Pushpak Hydraulic reversible plough is very strong & reliable with the use of “Box Section Frame” design. 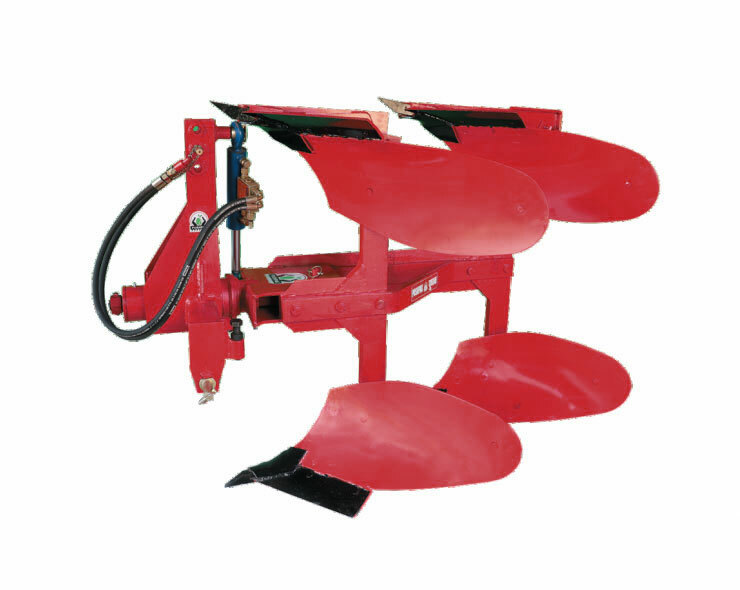 The large underbody & inter-body clearance allows free flow of soil & crop residue without getting clogged in the system. 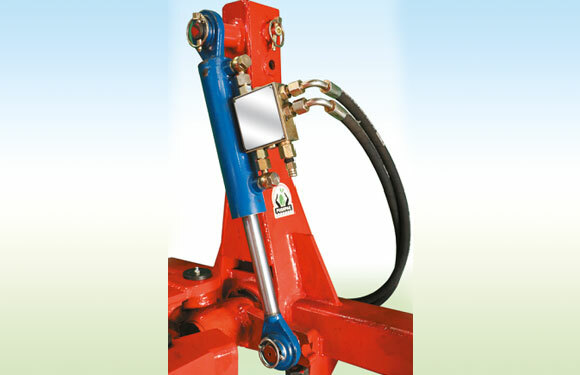 The shear bolt protection system works as a safety device protecting the main parts of plough in case of some major obstacle in the soil to the forward working of the plough. 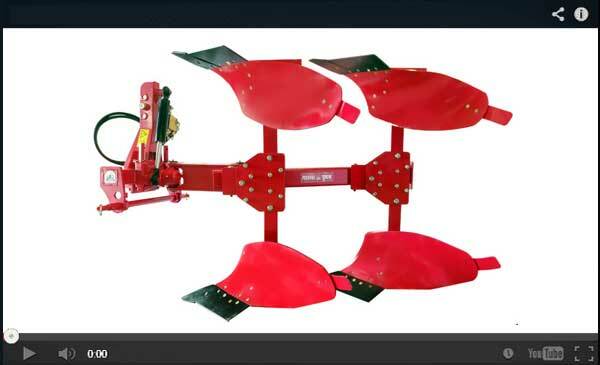 There are adjustments given on the plough to set the angle of the cutting points to the ground level, Center of Gravity of the pull of plough in reference to tractor & mold board curve to throw back the soil. 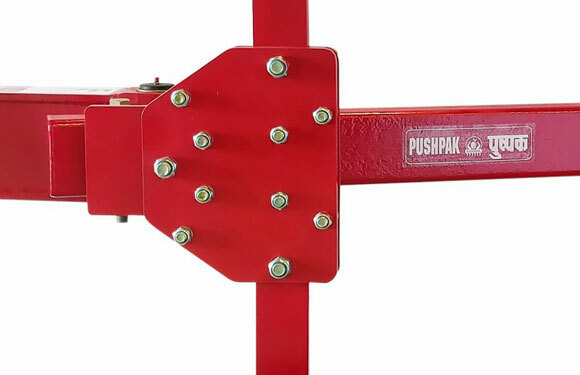 Pushpak Super Plough is equipped with shear bolt device to avoid additional load such as stones, tree roots or rock idges. 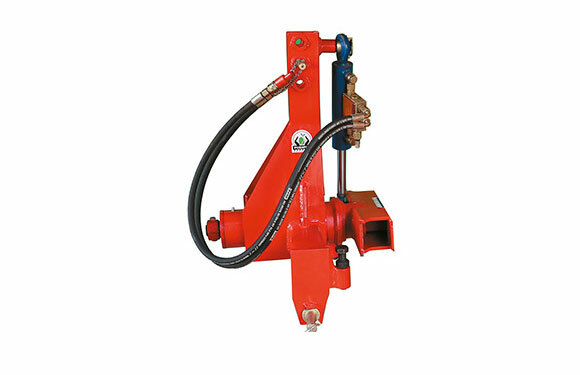 Replacement of new shear bolt can be done easily and quickly without suffering the work..
Center adjustment setting makes it easy to adjust front furrow width and tractor pull line independently of each other. Different type of soil and moisture content, all have different demands for working width. For this easy and quick adjustment is given. It can be adjusted for 10”, 12” and 14”. 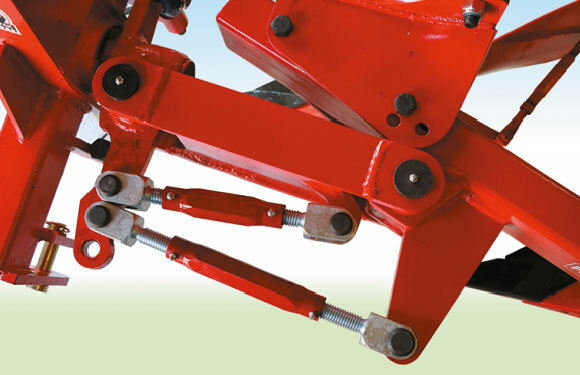 Large Underbody and Interbody clearance avoids the blockages even at close settings for furrows. 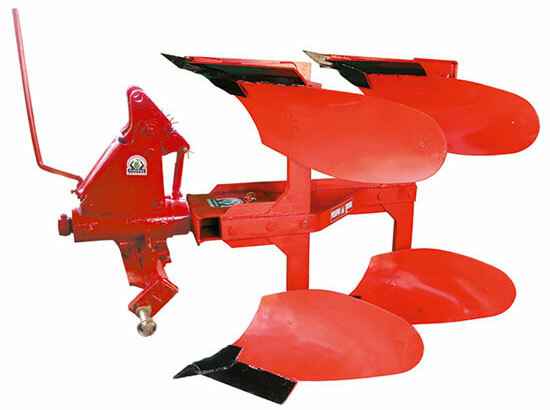 Pushpak Super Plough is equipped with hydraulic turnover device which gives precise, safe and quick turnover action. Also independent LH and RH work angle can be adjusted. Super mould board is manufactured on unique dies to give smooth soil turnover, increase in fuel efficiency etc. 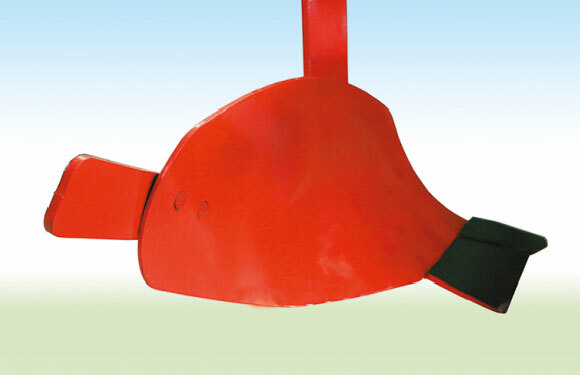 The turnover of the reversible plough is done by a Hydraulic cylinder; which reduces the fatigue to tractor driver considerably. Due to smooth turnover, no impact vibrations are experienced. Hence long life to plough & tractors is achived. 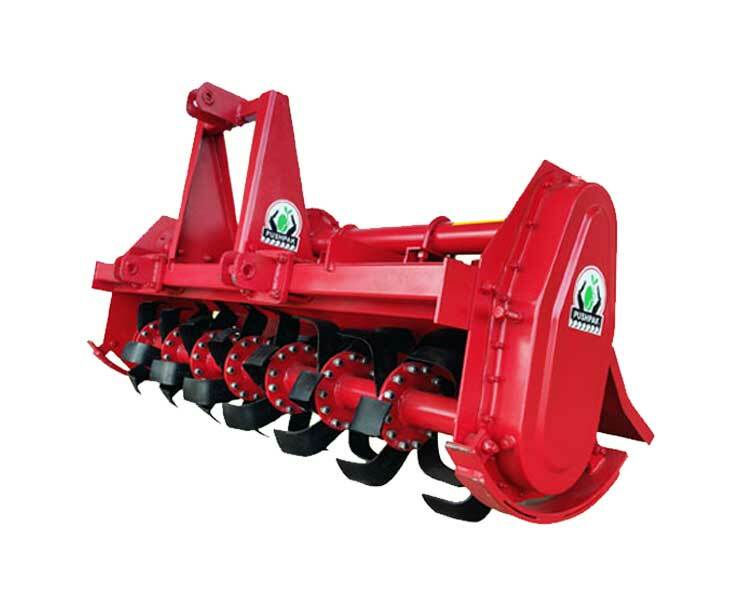 The Pushpak Hydraulic reversible Ploughis used to turn over the upper layer of the soil, bringing fresh nutrients to the surface, while burying weeds, the remains of previous crops, and both crop and weed seeds, allowing them to break down. 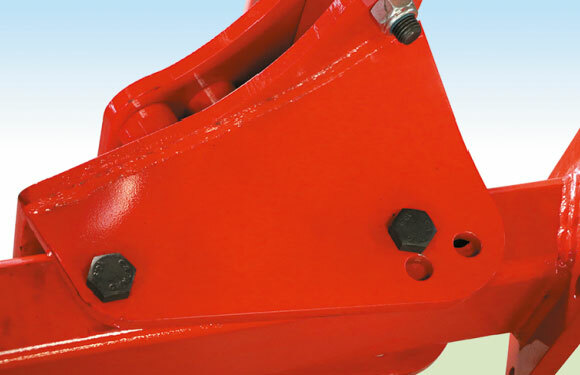 The working points are available in Shear type & bar point. 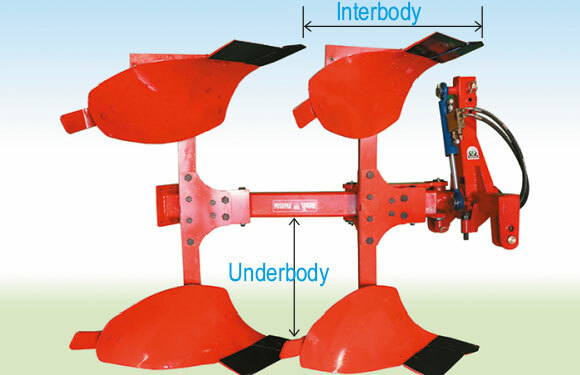 The construction of the Pushpak Hydraulic reversible plough is very strong & reliable with the use of “Box Section Frame” design. 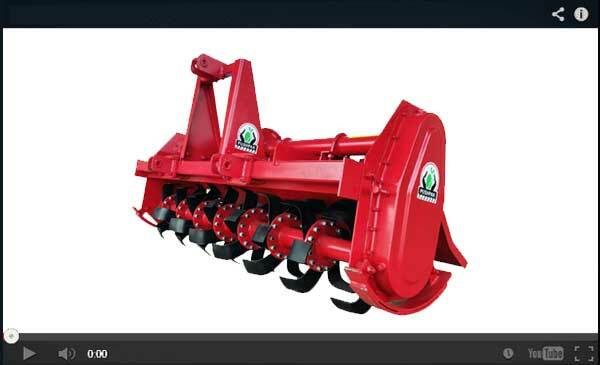 The large underbody & inter-body clearance allows free flow of soil & crop residue without getting clogged in the system. 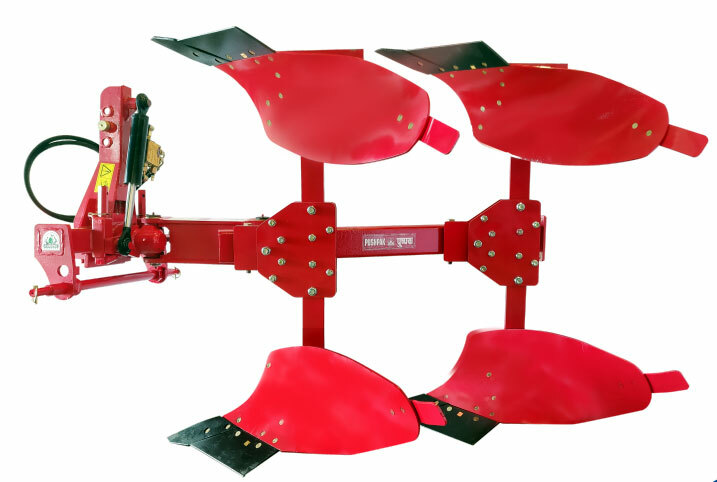 The Pushpak Reversible Plough is used to turn over the upper layer of the soil, bringing fresh nutrients to the surface, while burying weeds, the remains of previous crops, and both crop and weed seeds, allowing them to break down. 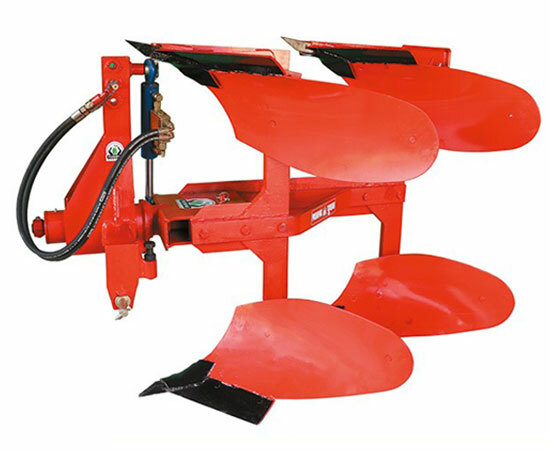 Pushpak Reversible Ploughs are available in two furrow working configurations, suitable for tractors with various horse power from 45Hp to 60Hp The working points are available in Shear type & Bar point. 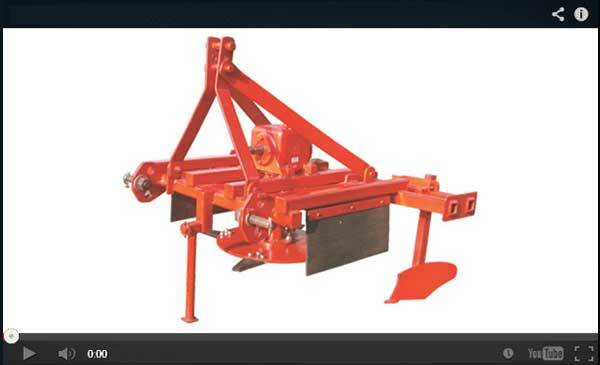 The construction of the Pushpak reversible plough is very strong & reliable with the use of “Box Section Frame” design. 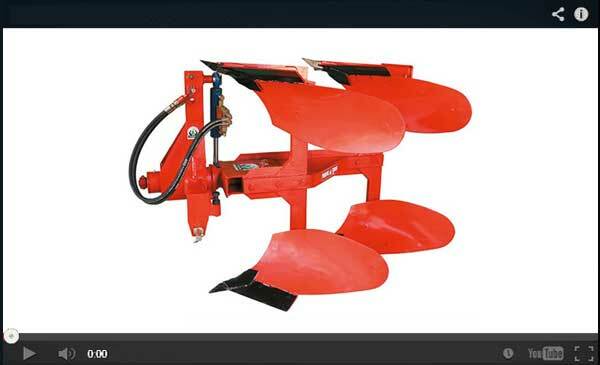 The large underbody & interbody clearance allows free flow of soil & crop residue without getting clogged in the system. 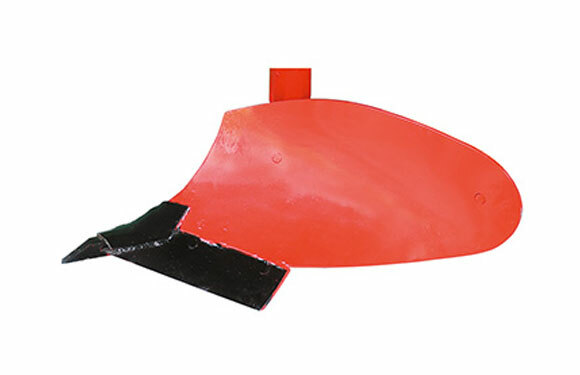 There are adjustments given on the plough to set the angle of the cutting points to the ground level, Center of Gravity of the pull of plough in reference to tractor & mold board curve to through back the soil.